Burns night is upon us--when all good Scots toast the great Bard and recite "To a Haggis" before plunging a knife into the "Great Chieftan o' the Puddin-race!" 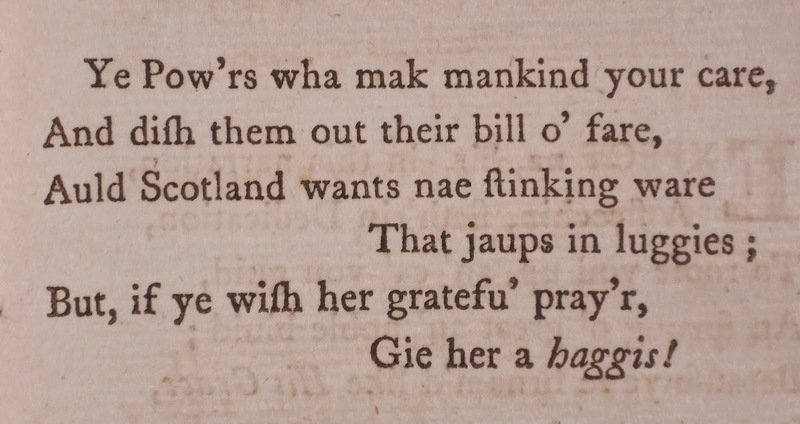 Among the most recited of Burns's poems, "To a Haggis" did not appear in the the famous Kilmarnock edition of Poems, Chiefly in the Scottish Dialect (Kilmarnock: John Wilson, 1786). 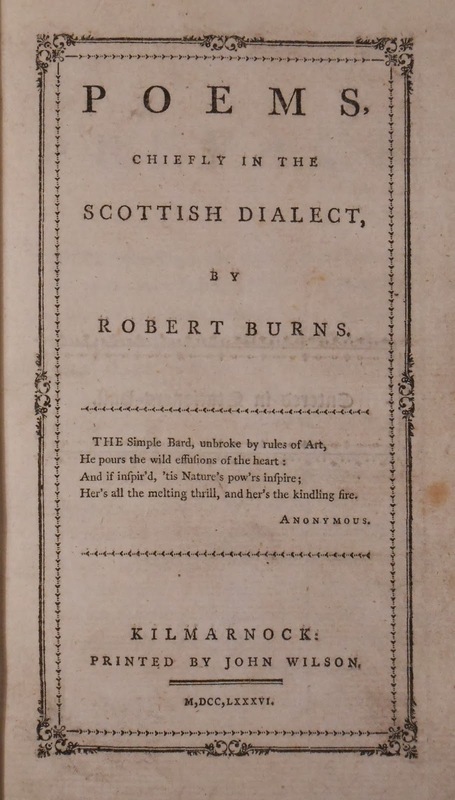 It first appeared in the Caledonian Mercury, but then was collected into the second and third editions of Poems in 1787. The type for the third edition was completely reset. In the process, a curious typo appeared. 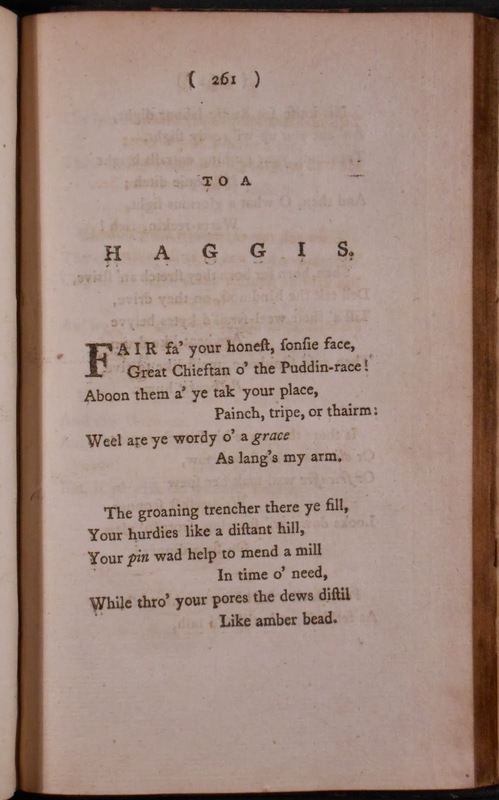 In "To a Haggis," the word skinking (meaning watery) was changed to "stinking." Surely not what Burns had in mind, but fitting to those of us less accustomed to the pudding. To quote the glossary to the third edition: Haggis, a kind of pudding boiled in the stomach of a cow or sheep." To see the famous Kilmarnock edition, ask for Burns PR4300 1786 .K4 Copy 2. For the "stinking" Haggis, ask for Burns PR4300 1787 .E42.